For the past months, our team of outstanding professionals has been focused on developing and implementing some great new features based on client feedback and best practices. And the result is quite impressive: Action Grid 4.0 has just been released, containing a list of brand new features and improvements! There are many new features and enhancements that will make this module an even more complex yet user-friendly tool that you will enjoy using. So let's take a sneak peek at some of them to help you get a better picture of what we have prepared for you. Action Grid 4.0 has so many new features, improvements and bug fixes in this version it's hard to choose what to present first. So here's just a small part of them, but you can view a more detailed list by checking out our product's changelog. 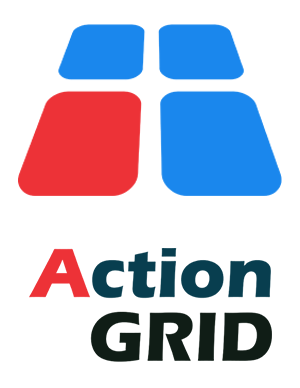 Or, better yet, download Action Grid 4.0 and test it out! Update your module or if you aren’t using it yet and want to give it a try, download it now. Get Action Grid before everybody else! The first 5 people who buy the product will get a 15% discount! Hope you will be just as excited and pleased with our newest version as we are! And the Oscar goes to... our amazing DNN Sharp team that focused all their efforts to bring you all the great new features in Action Grid 4.0! A big THANK YOU goes to our loyal customers for their support, feedback, and suggestions that help us improve our products continuously. So, give a try to one of the most powerful and easy-to-use grid builders in DNN! Don’t hesitate to contact us, should you have any questions, as our lovely support team is always happy to help. And most importantly, let us know your feedback - we are always eager to find out our clients' opinions and continue developing great products based on your suggestions! And then, do let us know your thoughts and feedback, we would love to hear your opinion and suggestions!